Definition at line 30 of file CQEFMReactionDM.h. Definition at line 27 of file CQEFMReactionDM.cpp. Definition at line 44 of file CQEFMReactionDM.cpp. 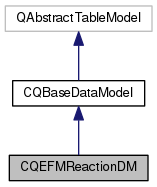 Definition at line 60 of file CQEFMReactionDM.cpp. References COL_ROW_NUMBER, mBeginModes, and rowCount(). Definition at line 52 of file CQEFMReactionDM.cpp. Definition at line 86 of file CQEFMReactionDM.cpp. References COL_ROW_NUMBER, FROM_UTF8, and mBeginReactions. Definition at line 135 of file CQEFMReactionDM.cpp. Definition at line 147 of file CQEFMReactionDM.cpp. Definition at line 141 of file CQEFMReactionDM.cpp. Definition at line 36 of file CQEFMReactionDM.cpp. Definition at line 129 of file CQEFMReactionDM.cpp. Definition at line 110 of file CQEFMReactionDM.cpp. References CEFMTask::getFluxModes(), CCopasiTask::getProblem(), mBeginModes, mBeginReactions, mModesSize, mpTask, mReactionsSize, pTask, and CCopasiParameterGroup::size(). Definition at line 57 of file CQEFMReactionDM.h. Referenced by data(), and setTask(). Definition at line 60 of file CQEFMReactionDM.h. 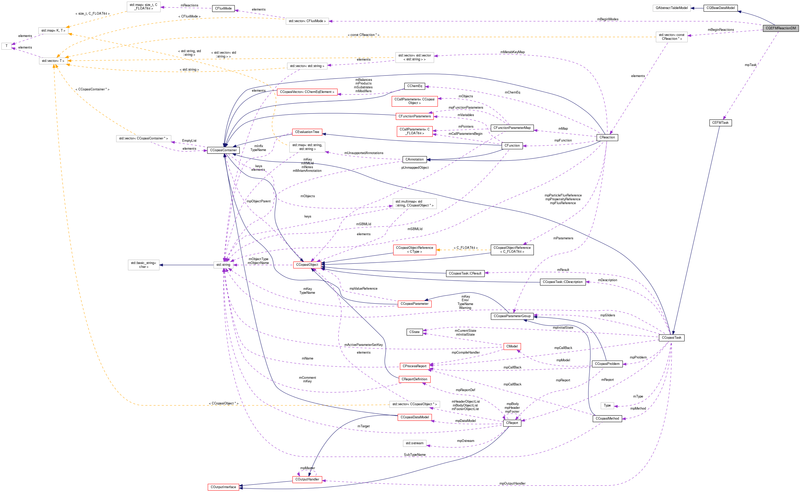 Referenced by headerData(), and setTask(). Definition at line 58 of file CQEFMReactionDM.h. Referenced by rowCount(), and setTask(). Definition at line 55 of file CQEFMReactionDM.h. Referenced by columnCount(), rowCount(), and setTask(). Definition at line 61 of file CQEFMReactionDM.h. Referenced by columnCount(), and setTask().